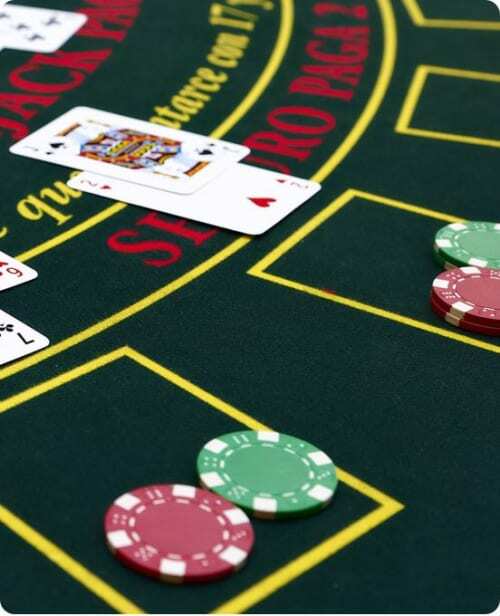 When using basic strategy, which is the optimal blackjack strategy, doubling down is an important option to learn how to use in a mathematically correct way as the house edge can be reduced as much as 1.43%. It’s common that players only focus on doubling down their best starting hands, which is usually a good decision, but there are also certain scenarios where it will cost money in the long run doing so. By only focusing on the good starting hands, one will also miss out on winnings that in the long run could be maximized by taking advantage of the dealer’s weak hands. In the following article we will teach you everything about when it’s mathematically correct to double down a hand, how the option is used at the table and give an example that shows just how rewarding the option can be if it’s used correctly. When you’re looking to perfect your game by using basic strategy, asking yourself if doubling down should be used in the hand or not is the third question you should ask yourself. The first two are always whether or not the hand should be surrendered and if the hand should be split. The doubling down option is not always allowed to be used on every hand, but the rules can vary from one table to another. To be able to reduce the house edge as much as possible, it’s always best to choose a table where the option can be used on any hand. Usually doubling down is only available on the first two cards that you’re dealt and sometimes also after having a pair split. It’s very rare to find that the option can be used after hitting a card, but it does exist so it might happen that you’ll come across it. When you’re using the double down option, this means that you’re doubling your stake for the hand at the cost of only being able to hit one extra card. Should you for instance bet €1 and then use the option, you would be able to bet another €1 making the total bet €2, but you would only be able to hit one more card at most. Whether you should use the doubling down option or not depends on the hand you’ve been dealt compared to what the dealer’s first card is showing, as well as how many decks are in play at the bale and what the table rules are. You’ll find that a lot of hands are mathematically correct to double down no matter the number of decks and the table rule used, but there are a few exceptions that are important to be aware of. In the tables below you’ll easily find what hands should be doubled down depending on what the dealer’s card is showing, how many decks are in play and what the table rules are. You’ll find your own hand in the most left column, whereas the rest are showing what card the dealer has to have for double down to be mathematically correct to use. S17 means that the dealer always has to hit on soft 17, whereas H17 means that the dealer always has to stand on 17, regardeless of card combinations. 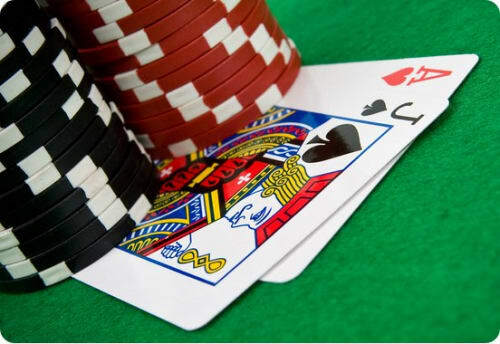 If doubling down is allowed after a hand has been split or not doesn’t have any affect on the hands, except for 4 – 4 when only one deck is in play. You’ll find that this hand is only correct to double down when the double down option is not allowed after a split, otherwise the hand should be split. Doubling down is an option that can be very advantageous if used in a mathematically correct way as the house edge can be reduced as much as 1.43%. Not only can the option be good to use when you’re being dealt a good starting hand, but can also be very effective when the dealer is showing a weak card such as a 5 or 6. If you’re being dealt the hand 6 – 3 and the dealer is showing a 5, you’ll on average win 59% of the time and lose the remaining 41%. Should you play 100 hands like this with a stake of €1 on each, you’ll on average make a net profit of €18 as 59 hands would be won and 41 lost (€59 – €41). Should you use the doubling down option, you would lower your chances of winning the hand down to 57%. However, as you’re still in favour of winning it and you’re able to place an extra bet (making the total bet €2), you would on 100 hands on average make a net profit that’s €10 higher. On average you would win €114 from these hands (€2 bet * 57 won hands) and lose €86 (€2 bet * 43 lost hands). This is equal to an average net profit of €28 (€114 – €86), which is indeed €10 more than the €18 you would win if you didn’t use the option. When we’re sitting at the table and looking to play a perfect blackjack game, we usually have to act defensively on our hands and sometimes it’s even better just to surrender it than playing it at all. Doubling down is however an option that let us go on the offensive and maximize our winnings at the right moments. Not only can it be advantageous for us to double down a good starting hand, but it can also be a rewarding move when the dealer is showing a weak hand. Even though winnings can be maximized by using the option and doubling the stake, the chances of winning the hand are actually lowered as only one card is allowed to be hit. 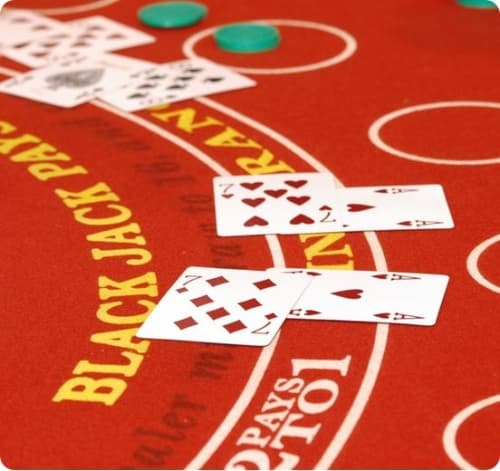 Therefore it’s important to be aware of the optimal blackjack strategy, basic strategy and only use the doubling down option when it’s mathematically advantageous to do so.